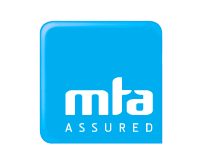 Cartune Ponsonby, Your Local, Friendly, Affordable MTA specialists. Cartune has established themselves as a market leader in the area for quality of service and have an enviable reputation for honesty & integrity. Craig has been in the industry for 25 years and has over that time seen about all there is in the Automotive industry including setting up race cars, managing a VTNZ Outlet, been a Fatal crash investigator and doing stolen / recovered vehicle inspections etc. We are an old style garage that is able to take on and repair any of you repair and servicing requirements from 1914 Model t trough to the latest in European technology. We have a fully equipped workshop including 2 x scanners, 7 hoists and all relevant equipment and would love to be your garage of choice, so come on in and start a lifelong friendship with us.